“This was the single, greatest massacre in our history and yet there is still no justice.” – Cale, Commander, Tassian Expeditionary Space Fleet. Last week, NASA announced they had exciting news. NASA’s Curiosity rover had found “organic compounds” on Mars. Essentially, NASA discovered carbon in rocks dating back billions of years. It is important we make the distinction between organic compounds (carbon) and life because these two couldn’t be further apart from each other. NASA has not found life. They haven’t come close to finding life. They’ve merely found carbon which exists naturally and can be formed as part of geological processes. To make this important distinction is everything because everything in our ideology hinges upon this distinction. Are we unique in the universe? Is Earth special? Does other life exist? Did Mars seed Earth with life from a meteor strike? I celebrate science and the scientific discovery, but there is a very important perspective that we need to take here on earth: We must be in awe at the miracle of life on Earth. NASA’s study could suggest that billions of years ago, the building blocks necessary for life to form on Mars were present just as they were present on Earth. Yet Mars is not teeming with life. Earth is. Mars is not teeming with bacteria. Earth is. Mars is not teeming with rivers. Earth is. Mars is not surrounded by an atmosphere. Earth is. The fact is that hundreds, if not thousands, of conditions must exist for life to form or thrive. This is what makes Earth unique and ultimately makes life a miracle – Earth is the only place in our known universe that possesses the conditions for life to thrive and we should spend more time celebrating that. Hold onto your horses… or for those of you without horses, hold onto your pants because I’ve got some big news for you! The first cover art design for the final book in the series “The Conquests of Brokk” is here. Take a look at the art below and let me know what you think. As many of you know, this is probably the first of many cover concepts before we complete the book. Some themes in this book that we are representing on the cover are Brokk and his golden eyes, priests and prophets to the dead, the molten planet of Jark, and Space. Lastly, you may not have guessed how much internal debate we had about breaking up the word “Doomsayer” into two words for the cover. What do you guys think? One word straight across or violate the laws of language and stack them as we have above? 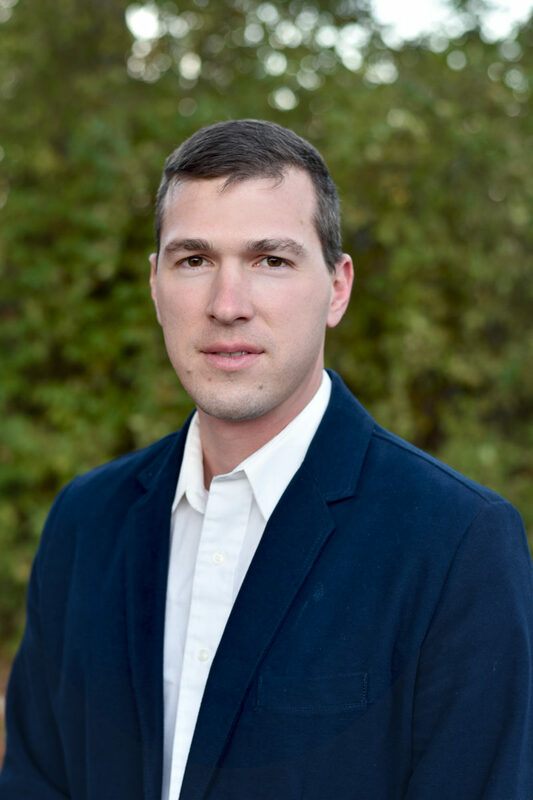 With all the back and forth on cryptocurrency, I thought it would be worthwhile to provide thoughts from the perspective of a science fiction author. My prediction: Cryptocurrency is the platform that will enable financial wealth throughout the galaxy and can be tied to a host nation or planetary system. It represents two of the four elements of national power (Military, Diplomacy, Economic, and Information). The Economic element should be self-explanatory but the information element creates a giant leap for harnessing a global wealth at the national level. So important is information in the digital age, that forty years ago Orson Scott Card predicted in his book “Speaker for the Dead” that the only requirement to control colonies throughout the galaxy would be the ability to control their information. Cryptocurrency doesn’t weigh anything. To use a fiat currency on a Moon or Mars colony would also mean expensive transport costs. International participants would have to pay conversion fees of their own currency, and then the conversion companies would have to transport the non-standard currency back to earth. Digital currency is weightless and global – no conversion, no transport, no problems. The Bible predicts it and this just might mean the end is near(ing). Revelation 13:16-17 says: “Also it [the beast that exercises authority over the Earth] causes all, both small and great, both rich and poor, both free and slave, to be marked on the right hand or the forehead, so that no one can buy or sell unless he has the mark, that is, the name of the beast or the number of its name.” If a cryptocurrency (Bitcoin or Ethereum for example) becomes a global standard and becomes controlled by one entity… it could spell the end of the age. Digital information is not as secure. I’ve read the arguments on encryption and private wallets, but digital information is still subject to theft – and this is a big problem because we are talking about theft affecting millions of users versus street robbery in fiat currency. In fact, there have already been multiple hacks of wallets and exchanges. At least you can fight off a mugger with fiat currency, right? Some people recently have attacked cryptocurrency because it is arbitrary in value. Unlike gold, cryptocurrency isn’t tangible and will not maintain any long-term worth. My issue with this isn’t because I don’t like gold. I love gold. It is shiny and my wife kisses me whenever I offer her something made of gold. My issue is that gold is also arbitrary in value. Keep in mind I’m a soldier… but if I want gold I can’t use gold to take it. I need guns made of steel. Bullets made of lead and copper. If I want food in a post-apocalyptic world, I won’t be using gold to get food, I’ll be using bullets. I can’t mine gold with gold, I need to mine gold with steel, or iron, or even wood. If I want water, I won’t be using gold to get it. If I need heat, I won’t be using gold to generate it. Gold has an assigned value and to be honest, I suggest investing in lead and copper to protect your assets instead of Gold. BUT… since we have assigned gold a value, I see no reason to not afford the same to any cryptocurrency. Such awful terror, such wretched dread. To a goblin’s market, their paradise. And one brave knight might rescue… you. I’m excited to announce that after several edits and rewrites, Fractal Space is finally published! I’m looking at one final proof of the paperback before I publish that one as well, but for now, you can read the book on Kindle here. With Fractal Space, I’ve deviated significantly from my first novel Trials. Think Space Opera and Military Strategy combined into a battle for galactic supremacy. Synopsis: Brokk is the chosen one. His golden skin proves it, his supreme leader has given him the warships, and the dead have accepted his sacrifice. With an armada of battleships and forty million soldiers, Brokk will be chancellor of the Tassian system by nightfall. Even the best of plans can come unraveled, and for Brokk, the desperate moves of a vagrant named Casika risks destroying everything he set in motion. While you can buy the book on kindle, if you have reviewed my other books and signed up on my ARC list on the front page of the website – I’ll be sending you a free copy in the hopes that you’ll consider leaving me another review. 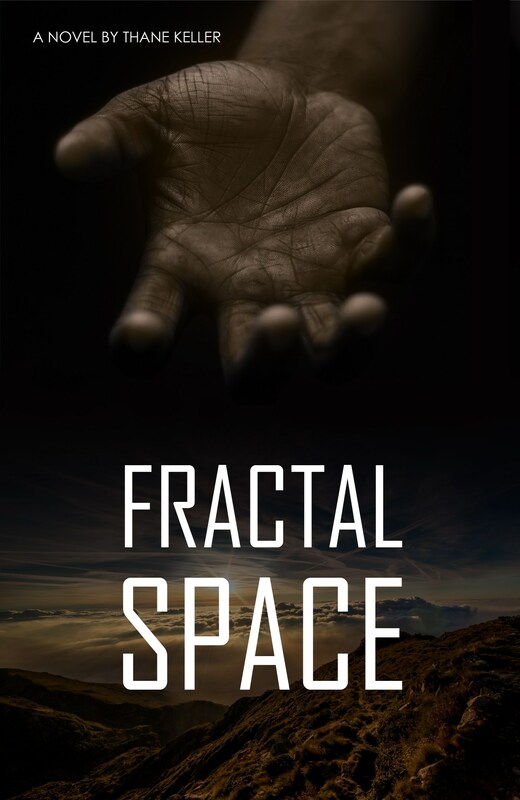 Now, for what I think is even cooler news: The sequel to Fractal Space is less than a month from being published itself! Check out the cover and and the website for more details. As always, I’m excited to hear what you think about the cover for the sequel! When Brokk’s campaign fails, he realizes that he has lost not only his prize but his home world as well. With no support from his government and labeled a renegade by his leaders, Brokk is forced into hiding. While he rebuilds his fleet, Brokk meets a powerful new ally and makes a dozen new foes. As Brokk navigates the criminal underworld and plans his next move, one thing is certain: the Galactic Order will not stop until it has brought Brokk to justice. But surrender is not in Brokk’s blood. Fractal Space is basically complete. I received the proof today and now begins the process of reading through it to make sure the cover and pages look exactly the way I want it. If time permits, we’ll be just weeks away from publication! I’m 50,000 words into the sequel of Fractal Space. There’s no title yet but I’m excited to follow Brokk’s story. I hope you enjoy it as much as I do. 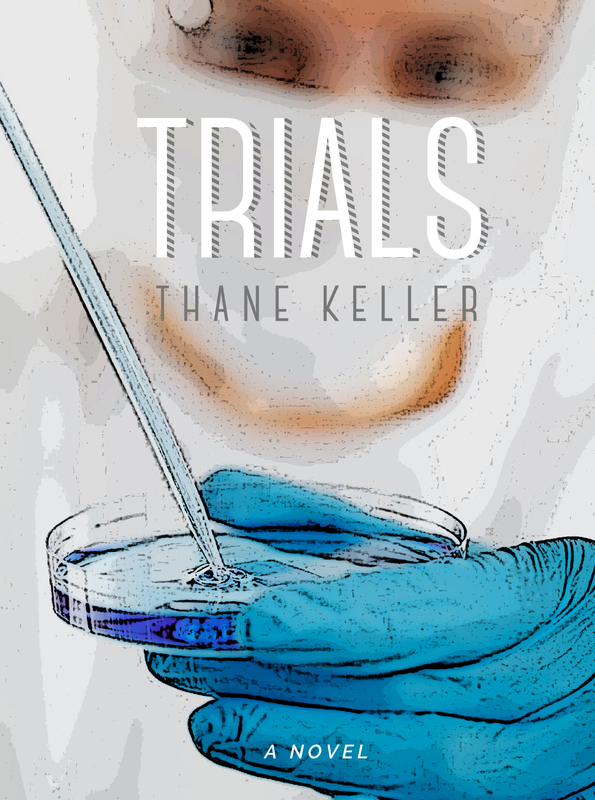 I’ve started to feel guilty about not returning to write the sequel to Trials. I’m excited to say that it’s coming; the prologue and first chapter are done! I hope you enjoy this little snippet from the sequel to Fractal Space. If the text gives you an idea for a title, I’d love to hear it!! Hatches hissed white plumes of oxygen and carbon dioxide as metal screeched against metal. Sizzling could be heard beyond the copper and lead shield that protected Masai and his company of Raiders from the immense heat of lasers cutting through the steel exterior of the space port. A heads-up display in his pressurized combat helmet indicated the breach would be ready to rush through in twenty seconds. A lot could happen in twenty seconds. Masai felt a nudge against the back of his space suit and twisted his body awkwardly to look back. A fat red face, coated in sweat stared back at him through an amber tinted visor. “We’ve still got fifteen seconds before we do anything and you’re already sweating?” Masai joked through his helmet’s radio system. “You better have my back,” Masai growled. He knew Mayo did. Masai was hot too and each of them were about fifty pounds heavier than the next biggest guy in the company. They didn’t get their position because of speed. The first two guys through a door or the hull of a ship were bullet magnets. The thicker the man going through, the fewer bullets traveled through him and into the next man on the team. Seize the foothold, their commander would growl. I don’t care how you die after the foothold, but you had better get us through that door and into the next room! And they did, time and time again Masai and Mayo got their company into the next room, established a foothold to build up fighting power with the rest of the company and won the ship. His heads up display blinked quickly. Five seconds. Go time. Masai gripped his rifle and took the weapon off its safety, selecting the fully automatic feature that allowed him to send six hundred and forty three rounds into the enemies fighting position before he had to throw in a new drum. His shoulders ached, body rigid, slight rock back, work up the momentum. One second. The steal hull of the space station slammed down and his own lead and copper shield suddenly vanished. Push forward. He felt light as a feather running as fast as he could through the smoke that concealed the gap in the breached hull. Hot orange steal, melted at the frame still glowed around the edges as he pushed forward. Flashes of light and bullets from enemy defenders snapped past him, slamming into the metal walls of their boarding bay behind them. Through the door, turn right. Follow the wall. His heads up display illuminated three combatants which he held down his trigger on until they fell to the ground. More shooting now behind and in front of him. A grenade rolled to his feet, which he kicked away just in time to watch explode in a flash of light. His helmet tinted black protect his vision and his suit blocked the concussive boom that would have left him stunned and disoriented. Another target, another ten round burst, enough to penetrate the armor of the enemy suit and tear through flesh. Hit the corner, swivel left, stay along the wall. The room was longer than he thought it would be and opened up into a wide bay that held boxes of supplies and wheeled vehicles to carry the equipment throughout the station. Smoke cleared and his helmet couldn’t find any more targets in his sector. “Clear,” Masai shouted, which was soon echoed by Mayo and about twelve other voices. “Push to the next chamber,” his commander calmly said through his radio. No time to rest, and suddenly Masai was aware of his heavy breathing and profuse sweating. His head felt clammy and his fingers were cold. He noticed a red warning light flashing at the upper left of his display. Suddenly the arm of his suit tightened and compressed against his flesh. A needle stabbed him in the leg. Adrenaline; he’d been shot. Losing blood. Keep going, take the next room, but he couldn’t, and before his left foot struck the ground he was falling backwards into his own induced abyss. 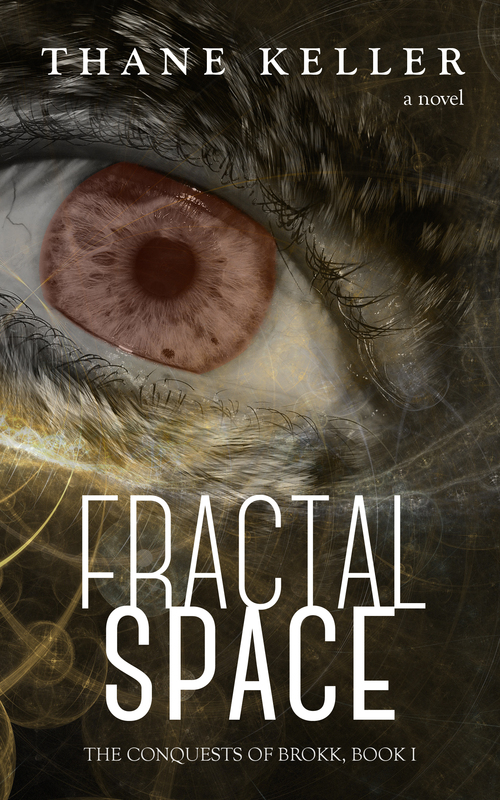 I’m excited to announce that my incredible, wonderful, beautiful, and talented Graphic Designer has once again struck gold with the cover for my newest novel: Fractal Space. Before the unveil, I thought it would be fun to show you the evolution of design and our thoughts behind the final product. 1. I instantly fell in love with the first cover that Sarah Keller put together for a few reasons. First, the landscape and the setting sun is mysterious and signifies the end of an era. If you are familiar with the synopsis, war is coming, and a setting sun over the horizon of a foreign landscape is a great way to depict that. The hand was meant to be the hand of a conqueror, reaching down from the heavens. Unfortunately, the hand is what did this bad boy in. The more people I showed this to said they expected a Max Lucado book rather than a Space Opera. Sorry, Sarah – it had to go. 2. The second cover was an attempt at a completely different angle. This cover signified the proud crystal city, a beacon of hope, but also the prize that conqueror Brokk is looking to steal. The glass building and symmetrical patterns certainly matched the meaning of Fractal a little better and the red-streaked sky signified the battle to come, but it made me think criminal law before I thought Science Fiction. In a highly competitive genre, it just wouldn’t do. Back to the drawing board! 3. The good news is, all of our (Sarah’s) hard work paid off, and I think we have a real winner…. But I’ll let you be the judge. Get ready to grab yourself a copy!